Bangladesh Textile University has published its admission circular for the session 2016-17. Application for admission test will start from September 22 and will continue till October 27. There are 520 seats in the university. Students will have the opportunity to get admitted in 8 different departments in Bangladesh Textile University. 520 seats are available combined in Yarn Engineering, Textile engineering and Management, Textile Fashion and Design, textile Machine Design and Maintenance, Fabric Engineering and 3 other departments. Only Bangladeshi students can apply. Admission seekers need have minimum GPA 4.5 in the SSC and minimum GPA 4.5 in the HSC examination of 2016. They also to pass HSC having 19 points combined in Mathematics, Physics, Chemistry and English. Only Teletalk Mobile can be used to apply for Bangladesh Textile University. If you input all data correctly, you will receive SMS containing a PIN and the amount of application you have to pay. The fee for admission test is 900tk. In the return SMS, you will get a Roll No., and a User ID and Password. This ID and Password will be required to download admit card. To download admit card, visit http://but.teletalk.com.bd and enter your User ID and Password. Then upload a colored photograph (300×300 pixel, max 100 kb) and scan copy of signature (300×80 pixel, max 60 kb). You will be able to download and print admit card after uploading photograph and signature. Admission test will be on November 18, 2016 at 10 am and test result will be published on November 27. Result will be published in university’s website and its notice board. 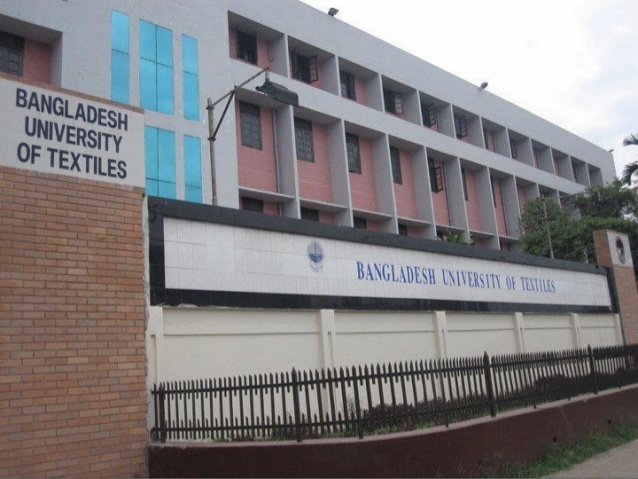 For more information about Bangladesh Textile University admission, visit butex.edu.bd/admission_circular .